One of the most famous quotes in history is, "There's no such thing as a free lunch." Actually, the real quote is, "There ain't no such thing as a free lunch". The adage refers to the idea that it is impossible for a person to get something for nothing. Every choice you make has a next-best alternative that you could have chosen but didn't. That foregone opportunity is known as opportunity cost. That is, the price you paid for doing whatever it is you did was the opportunity you can no longer enjoy. Whether or not you are successful in life depends almost entirely on how well you manage your own, personal opportunity cost. What if Julia Child hadn't begun cooking at age 37? What if Sam Walton hadn't started Wal-Mart stores at 44 years old? What if Warren Buffett had listened to his father, Howard Graham, and his mentor, Benjamin Graham, and not gone to work in the investment industry? The opportunity cost of each of those decisions would have been staggering, in retrospect. That is the nature of life. As the CEO of your time here on Earth, you have to decide how to manage your own opportunity costs. Do you go to art school or become a doctor? Do you invest in the hi-tech start-up your friends are putting together or strike out on your own? Opportunity cost is all around you. Do you go to the gym or eat a cookie? Apply for that job in an industry you love or stick with a field in which you are comfortable? But it is especially present in your finances. It can go unnoticed because the average person doesn't know the power of compound interest and the effect small decisions can have on where you ultimately end up on your journey to wealth. 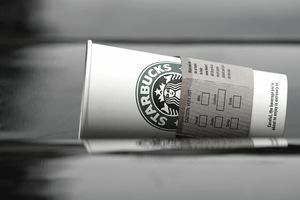 A single $4 coffee from Starbucks invested at 10% for 50 years is really $470. A $9 lunch is really $1,057 in future wealth gone. Knowledge is power. The more you know about a given area, such as investing in stocks, investing in bonds, or investing in real estate, the more options you have. The more options you have, the better the chances you can earn a decent rate of return on your money. That means a more comfortable lifestyle for your family, less financial stress, and the freedom to pursue the things you want without always looking at the price tag. The biggest warning to new investors, especially young investors, is that doing nothing is, itself, a choice. That means it has opportunity costs. By not investing when you have the chance, the foregone wealth is staggering. Let's look at a few examples and scenarios. John is 18 years old. He gets an after-school job and opens a Roth IRA. He saves $5,000 per year in it and continues doing this until he turns 70 years old. He is perfectly average, invests in low-cost index funds, dollar cost averages, reinvests his dividends, and earns the same return the market has for the past century or two—roughly 10% pre-tax and inflation. As a result, he ends up with a little more than $7,000,000 in wealth. Adam is also 18 years old. He gets an after-school job but doesn't save anything. He waits until he is 30 years old, at which point, he opens a series of retirement accounts and saves $5,000 per year. He's only $60,000 in total contributions behind John, and still has 40 years to go before he turns 70, so he figures it isn't too bad. When he reaches retirement, though, he has only $2,200,000. That $60,000 shortfall turned into a $4,800,000 canyon. In fact, by starting at 30, Adam would have to save a whopping $16,000 per year as John continued to save just $5,000 per year simply to break even with John. The opportunity cost of blowing his income as a young adult had enormous consequences later in life. That is okay if Adam thought through those choices and decided that is what he wanted. Most people don't. That is the problem. That is why we want you to become obsessed with opportunity cost so that you are living your best possible life.